The Islamic State (ISIS/ISIL/IS) used chemical weapons against Kurdish troops during a battle in Iraq last August. The Organization for the Prohibition of Chemical Weapons (OPCW), the international body that oversees the Chemical Weapons Convention, confirmed the use of mustard gas. Though the OPWC would not name the group that used the chemical weapons in an attack last August, a diplomat revealed to Reuters ISIS was responsible. The August attack took place near Erbil, Iraq, and sickened three dozen Kurdish troops. This is not the first time ISIS has been implicated in the use of chemical weapons. The OPCW has already determined mustard gas was used in Syria last year. More recently, Breitbart News reported on two shells ISIS militants fired at Kurdish soldiers last week. The shells appear to have contained a chemical weapon, possibly chlorine gas. Most of the gas was blown away by strong winds, but as many as 30 Kurdish soldiers became ill after the attack. CIA Director John Brennan revealed in an interview with 60 Minutes that ISIS jihadis have access to chemical precursors used to make weapons and may be making the chemical weapons themselves. 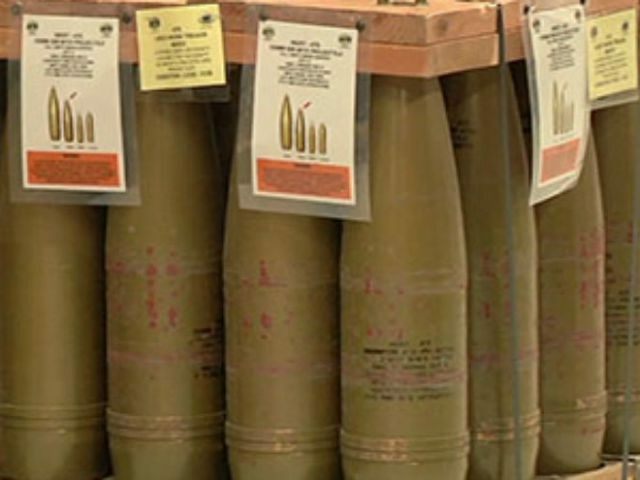 Others believe the weapons could have been seized from undeclared stockpiles in Syria. “If Syria has indeed given up its chemical weapons to the international community, it is only the part that has been declared to the OPCW and the declaration was obviously incomplete,” an unnamed diplomat told Reuters. Mustard gas is a colorless, nearly odorless gas that can cause severe blistering of the skin, as well as damage to the lungs and eyes. Its name derives from an earlier production process that produced a yellowish color and a strong sulfur smell.